Manchester United entertain Premier League champions, Chelsea in the Premier League on Sunday in a game that promises to be a grudge match in the race for Champions League qualification. The Red Devils are just three points ahead of their opponents, and we will be looking to win the game against Antonio Conte’s men, who are on a high at the moment after the draw with Barcelona in midweek. The game will be more interesting because of the feud between Conte and Mourinho, but both managers have downplayed it. We take a look at the predicted lineup for United ahead of the clash. David De Gea will be looking to register his 16th clean sheet of the season against Chelsea. After starring in the Champions League against Sevilla, barring any last-minute injury, he is expected to feature against Chelsea. 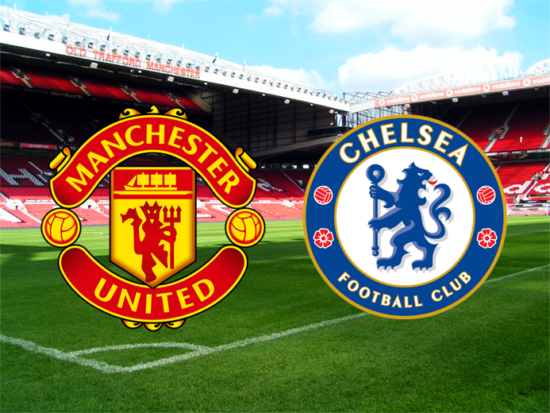 With Chelsea expected to play a 3-man attack, United manager, Jose Mourinho will be placing emphasis on our defence. At left back, Ashley Young will look to start and try to curtail the runs of Willian. In the heart of defence, Eric Bailly should partner England international, Chris Smalling, with Phil Jones not fully fit. Antonio Valencia will start at right back and expect to stop Chelsea talisman, Eden Hazard. Club record signing, Paul Pogba is expected to return to the starting 11 after being benched in Seville. The 24-year-old has dropped form in recent weeks but it would be a huge call if Mourinho doesn’t start him against Chelsea. Alongside him should be the pair of Scott McTominay and Nemanja Matic, who impressed in the goalless stalemate against Sevilla. McTominay earned praise for his performance against Sevilla, and could be rewarded with a second consecutive start. A three-pronged attack of Lukaku, Sanchez and Mata should feature and try to peg the Chelsea defenders back and force them into mistakes. Lukaku will get another chance to impress against his former club as well as Mata, while Sanchez will be looking to kick-start his United career with a good performance against a similar team. Probable lineup: De Gea, Valencia, Smalling, Bailly, Young, McTominay, Matic, Pogba, Sanchez, Mata, Lukaku.